Syracuse is a vibrant Utah community of 24,000 residents and quickly growing. It has great mountain views and some of the best sunsets Utah has to offer. Syracuse is located South of Ogden, North of Salt Lake City, and West of Layton. Due to it's great location and stable housing market many people are flocking to Syracuse for the peaceful country feel, but close to the conveniences of life. Many home builders are available in Syracuse and they are ranked among some of the best builders in the Utah Real Estate market. Castle Creek Homes being a fantastic semi-custom builder with prices that almost anyone can afford and homes starting in the $170's on up to $500k. In close second would in my opinion be Ivory Homes. Great builder with many floor plans and styles to choose from. 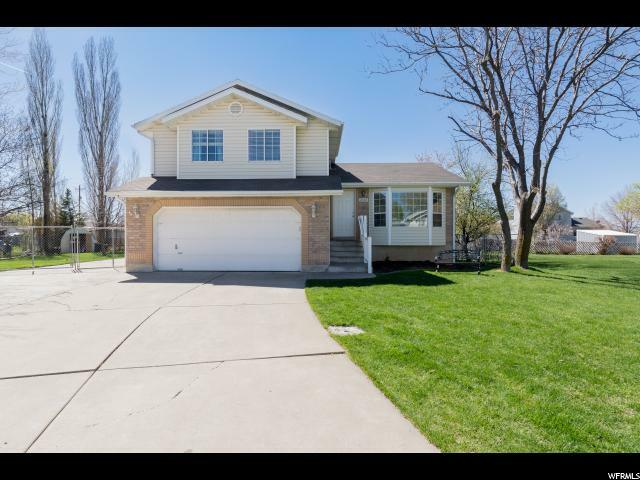 We have provided many links to popular builders in Syracuse Utah on our main Utah Real Estate page to help assist you with building your Utah Home. 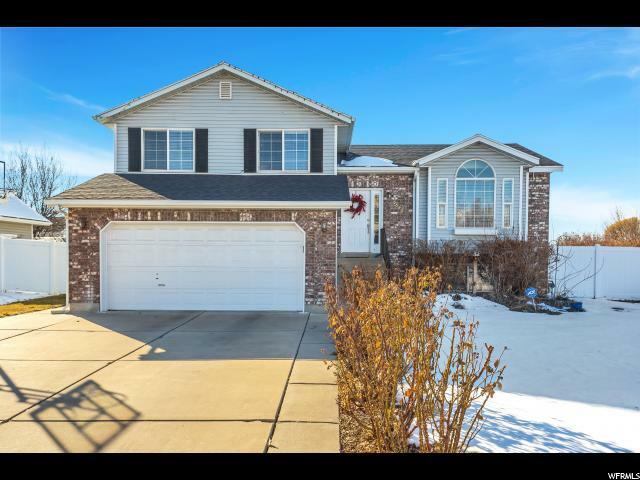 Rather not build a Syracuse Utah Home? Feel free to search Syracuse Homes below using our state of the art free home search! "Cutest cottage you have ever seen. This generation of homes were built with some of the best craftsmanship, character and charm. Very hard to find open concept floor plan has that welcome home feeling upon entry. Snuggle up around the fireplace and take in a good book on those cold winter nights. Large lot offers leisure living while relaxing on your private back patio gazing at the beautifully mature sycamore trees and fully landscaped yard. Located in one of the most friendly and convenient locations in town. " "Awesome Syracuse Horse Property with 3 out buildings and a garage! You will love this cozy, updated home on a .51-acre lot set up perfectly for your horses! This home and property are a rare Syracuse find with its big lot full of huge mature shady trees, super nice 10x10 shed, 2 metal barns with power, 1 garage, garden area, lots of parking for trailers, fruit trees and deck patio. The corral area has an 8x8x20 gravel French drain system installed for quick water drainage. The home itself is to fall in love with as well. Inside you'll find new carpet and laminate flooring with a super comfy country feel. Enjoy knowing the Roof, A/C & Furnace, water heater, electrical, plumbing, and windows have all been recently updated along with R-19 insulation. You really just need to come see it, but hurry before it's gone! Call us today to schedule your appt!" "Quiet Setting. This Home is Right Across the street from Rock Creek Park. Unobstructed Views from your Living Room Window. Vaulted Ceilings in Kitchen/Living Room. 3 Bedrooms conveniently on same level with Ceiling Fans and remotes. Freshly Painted. 4th Bedroom possible in the Basement. Fully Fenced Back Yard. 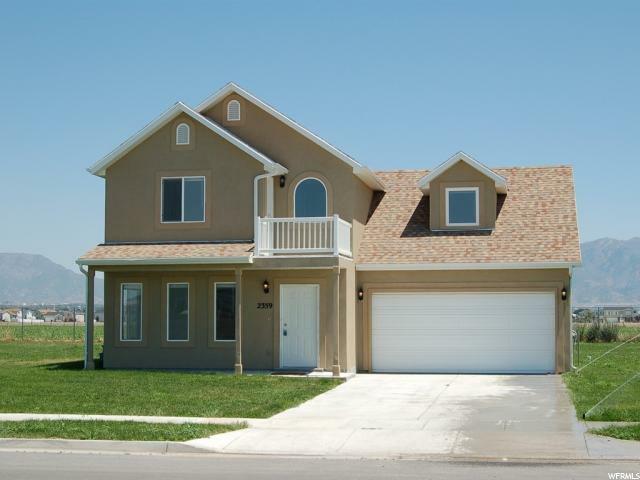 3 quick Minutes to Legacy Walking/Biking Trail, 5 Minutes to Antelope Island Entrance, Schools and Shopping Nearby. Square footage figures are provided as a courtesy estimate only and were obtained from Davis County records. Buyer is advised to obtain an independent measurement." "Charming 5 BR home. 4 year old roof (30 year shingles. RV Pad approx. eight by 30 ft. hme. Located in Muirfield Subdivision. 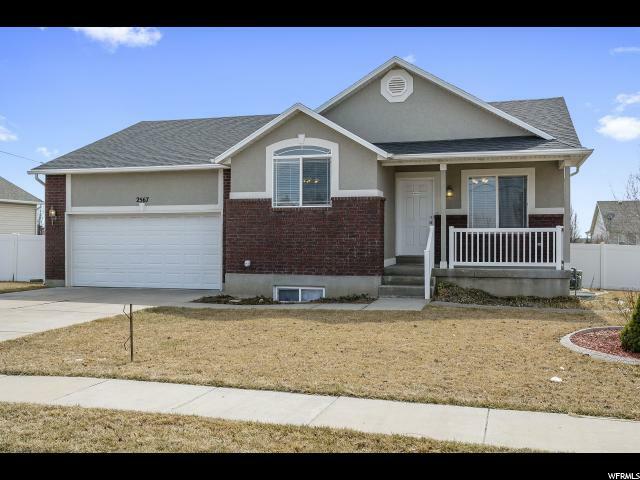 Located close to Glen Eagle Golf Course within walking distance. Custom Hardwood flrs. Gorgeous lot. Large back yard. Mountain views. " "Just what you have been waiting for!!! This lovely, clean well-appointed home is waiting for you! The kitchen boasts granite countertops and plenty of great Cherrywood cabinetry and spacious dining area. Walkout to a beautiful deck and view! Three Bedrooms and 2 full baths on the upper level. Master bath has jetted tub. Hardwood floors, some new carpeting and tiled entrance way. Basement bedroom recently painted and carpeted. Large flat back yard for fun in the sun! 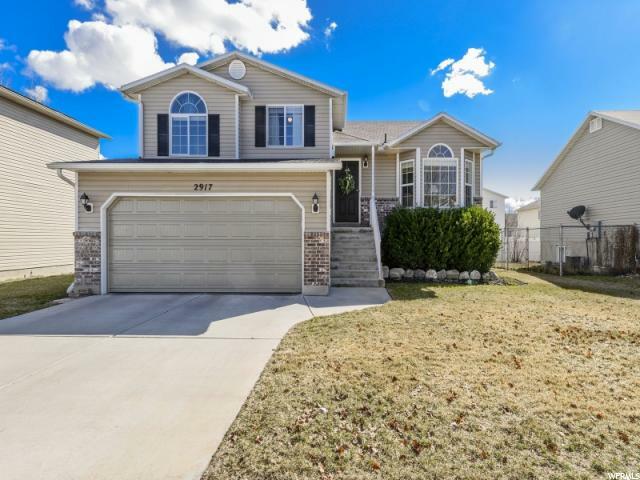 Located close to Glen Eagle Golf Course. 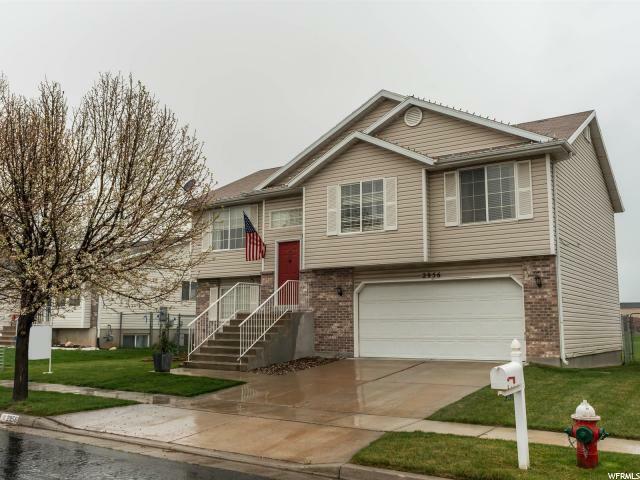 Great neighborhood close to parks and schools. 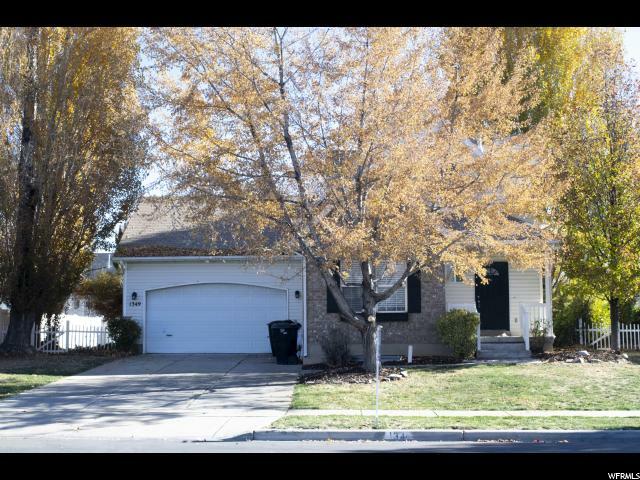 Please text for showings!" "Farmhouse Style, with an Open Kitchen, solar panels, & Heated Oversized Garage with RV Parking! Within walking distance to the elementary school with park. The basement has it's own separate entrance, with plumbing for a kitchen, salon or bedroom, the option is yours! The Furnace and Water Heater have also recently been replaced. Close to shopping and restaurants, but yet still that quiet neighborhood feel. It has a Spacious backyard, with gardens and a swing set. Square footage figures are provided as a courtesy estimate only. Buyer is advised to obtain an independent measurement." "Wonderful Syracuse home in great neighborhood and Cul-de-sac! This could be your perfect place to call home. 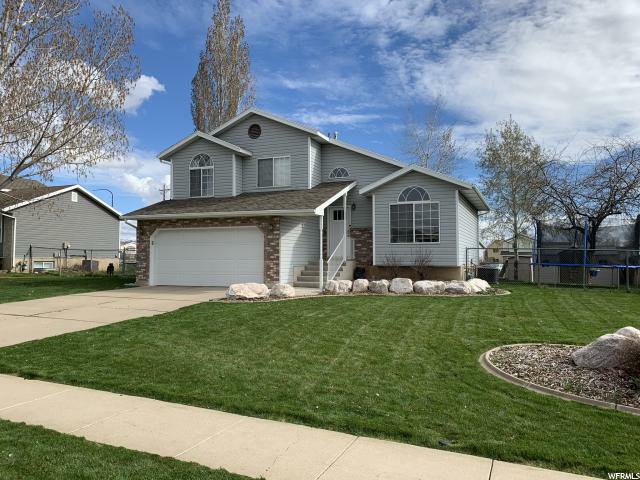 This comfortable home has 3 Bedrooms and 2 1/2 Baths, several updates including a New furnace & AC (2017), new garage door & opener, new back door, new carpet, and fresh paint! 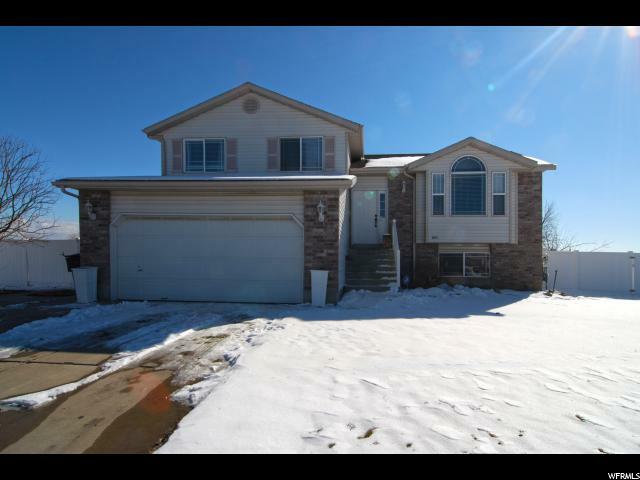 This home is in excellent condition and will be easy to move right in! The basement has been finished with a great exercise or play-room (or whatever you choose) and an Office which could also be a possible 4th bedroom - call or text for showing! " "AT ONLY $112 PER SQUARE FOOT, THIS HOME IS A STEAL IN SYRACUSE. WITHIN WALKING DISTANCE TO SYRACUSE'S HOT SPOTS. SPEND A NIGHT AT A LOCAL RESTAURANT, MOVIE THEATRE, OR THE FUNPLEX BEFORE RETURNING HOME. FINISHING THE BASEMENT WILL ADD 3 BEDROOMS, 1 BATHROOM, AND A LOT OF EQUITY TO THE HOME! PLUS....GET A CARPET ALLOWANCE AND CHOOSE YOUR CARPET BEFORE YOU MOVE IN." "This beautiful home is in the highly desired and wonderfully maintained Walker Estates 55+ community. 2 bedrooms and 2 full baths on the main, large living area with open kitchen layout, large patio, lots of storage, single level living, and a finished bedroom in the unfinished basement. The community has common areas, walking paths, and is minutes from the community center, shopping, and restaurants. Won't last!" "GREAT house in a GREAT neighborhood! 5 bedrooms and 3.5 bathrooms. NEW floor coverings and recently painted! Spacious kitchen with lots of cupboard space and nice appliances. Master bedroom with an en suite and 1/2 bath on main level, 2 bedrooms upstairs and 2 bedrooms in basement. Other Features: Central air, washer and dryer hookups, 2 car garage, and a fully fenced backyard. This is a must see! " "**MULTIPLE OFFERS** Taking highest and best by Monday April 8th at 5PM** Gorgeous multi level home located in the heart of Syracuse. 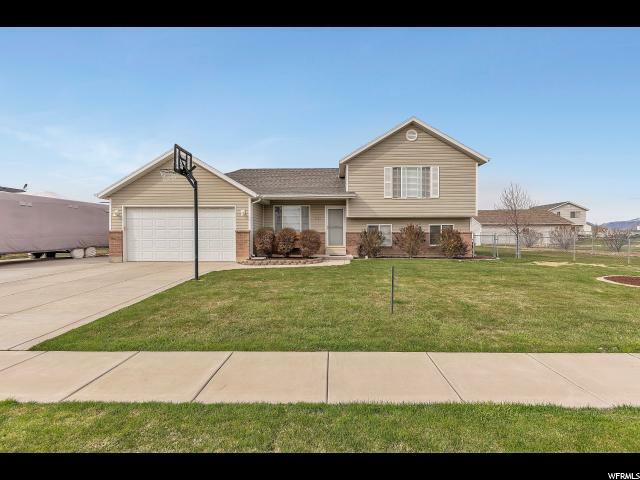 This home is near schools, close to shopping and major roads. Very quiet and nice neighborhood. This home has an fabulous RV pad for all your toys and a bonus garage/shed in the backyard that also makes a perfect patio to go with it! This yard has it all.. tool shed, detached single garage, vegetable garden, covered patio and a natural gas stub for a fire pit! This home won't last! Square footage figures are provided as a courtesy estimate only and were obtained from seller. Buyer is advised to obtain an independent measurement." 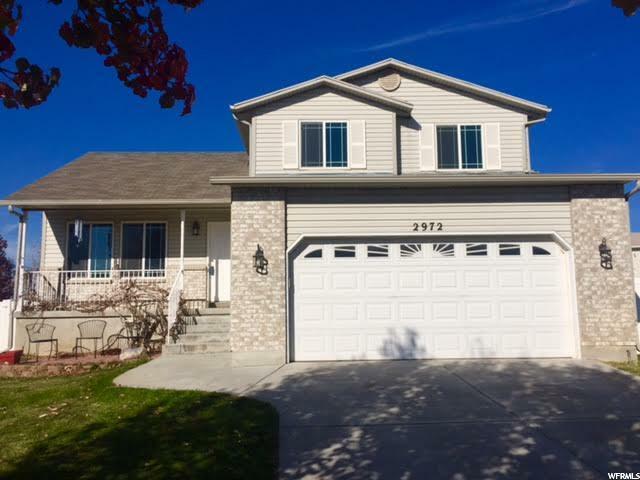 "Nice 5 bedroom 3 bath home in a great Syracuse neighborhood! This multi-level fully finished home gives you tons of living space. The good sized kitchen has a bar for additional seating. 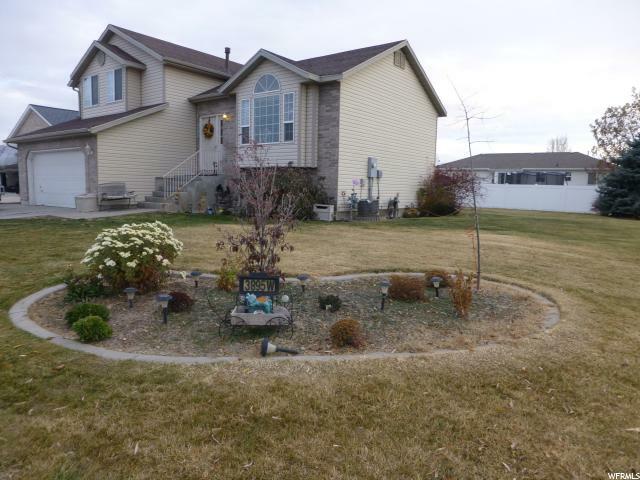 You'll love the huge fully fenced yard and large patio is perfect for those summer BBQ's. A must see, schedule your showing today!!" 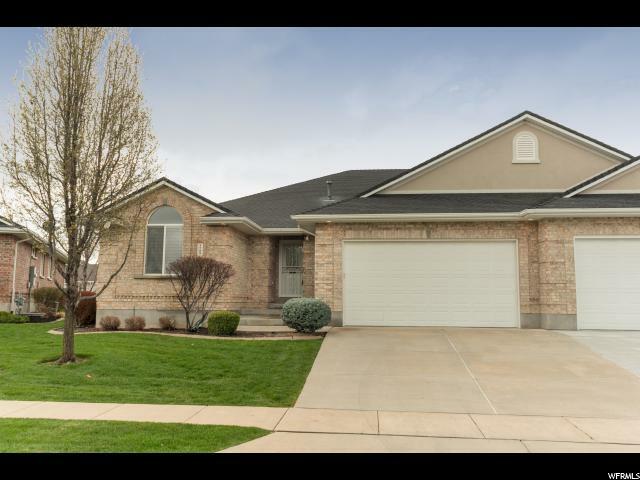 "Great Home in a 55 and older community! Get Ready to make this yours! 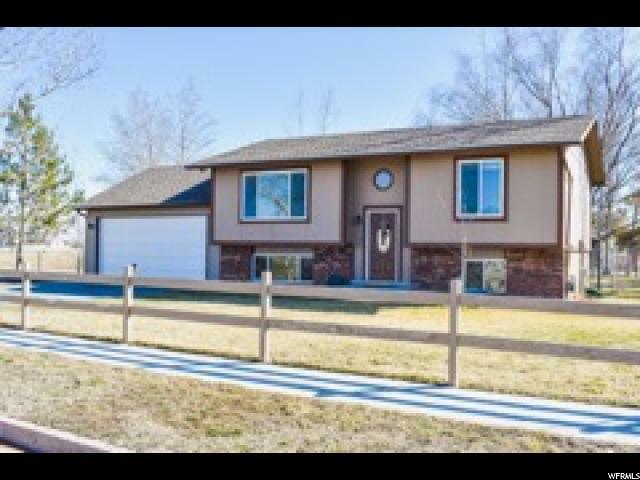 Beautiful, well maintained location close to shopping and the Freeway. 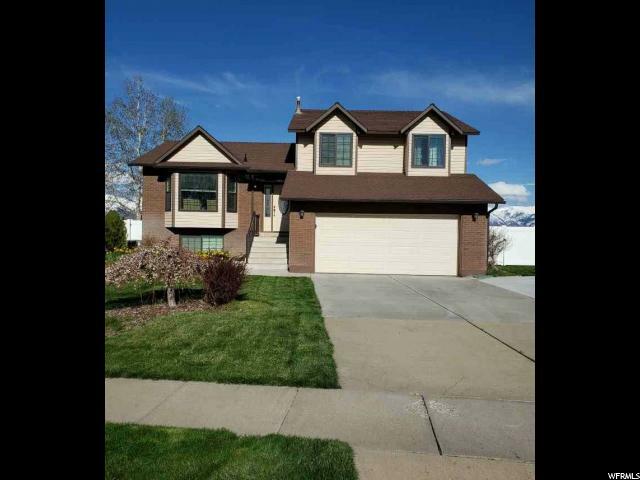 Upstairs features 3 bedrooms, 2 bathrooms, Great Room with Gas Fireplace and Kitchen. Washer and Dryer is included. One level Living, Basement has 1 bedroom and full bathroom finished. Gun Safe in the Basement is included because it is bolted to the floor. Come check it out! " 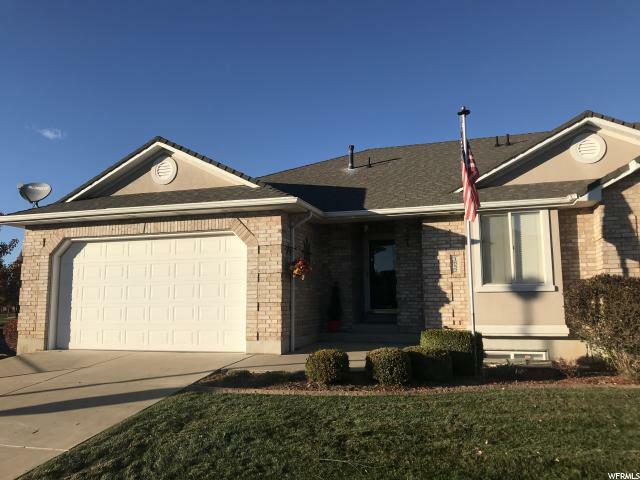 "Open house Saturday 11-2:00 Immaculate Rambler - Huge covered deck and patio - Hardwood & Tile floors - Newer 95% furnace - Newer roof - Fruit trees - Garden - Soft Water sys - Shed - Fountain - Dog run - 50 gal H20 - Garden window - Sealed floor extra deep 2 car garage - Canned lights - Jetted tub - Ceiling fans. If square footage or acreage of the property or improvements is of material concern to buyer, buyer is responsible to verify the square footage/acreage measurements and improvements to buyer's own satisfaction." 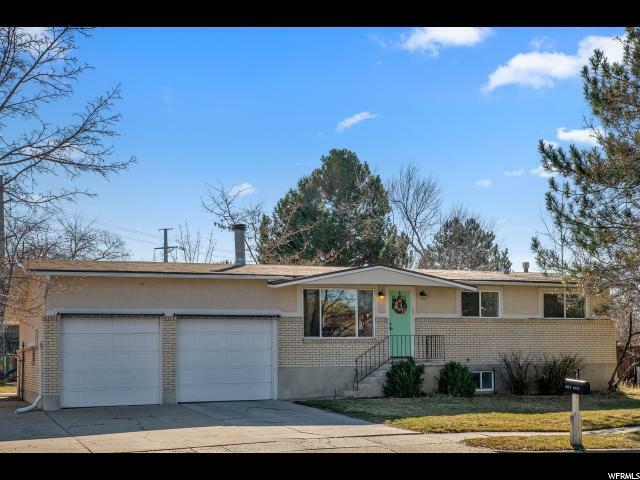 "MULTIPLE OFFERS RECEIVED, sellers requesting highest and best by 2pm Thurs 4-18-19. 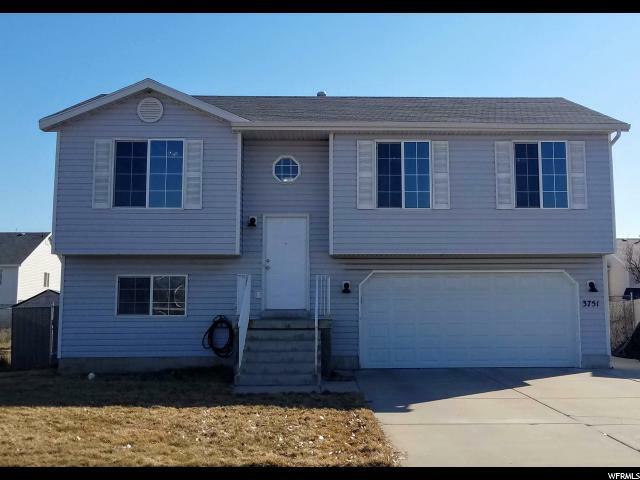 Irresistible Home in Syracuse featuring brand new hardwood floors and baseboards, decorative archways, designer 3-tone paint , upgraded light fixtures, granite counters in bathrooms, tiled shower/bath in master suite, brushed-nickel hardware, lots of natural light. Finished basement with walk-out to concrete patio with pergola, fenced backyard. No rear neighbors! Call to show / access code." "Absolutely darling home in the heart of Syracuse, yet tucked away into a quiet neighborhood. 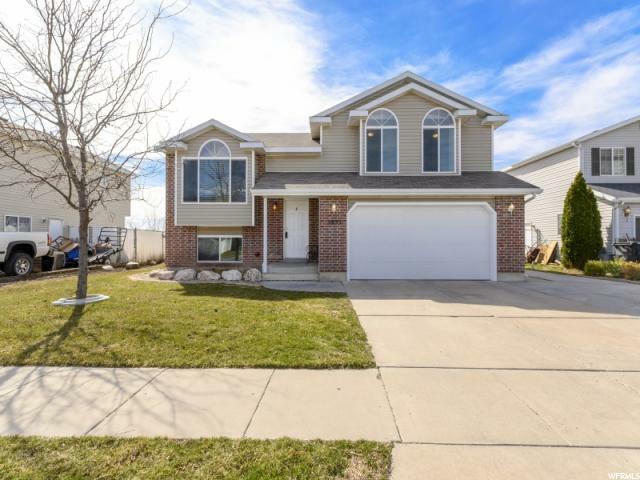 This fully finished home is spacious, with 5 bedrooms, plus a den/craft room. Recently painted throughout! The oversized kitchen has been beautifully updated! The family room can easily accommodate large family gatherings. Outside, the backyard is fully fenced with plenty of room for large BBQ's. Enjoy the raised gardens beds and spacious yard. The garage has extra height for plenty of storage! Large RV parking! 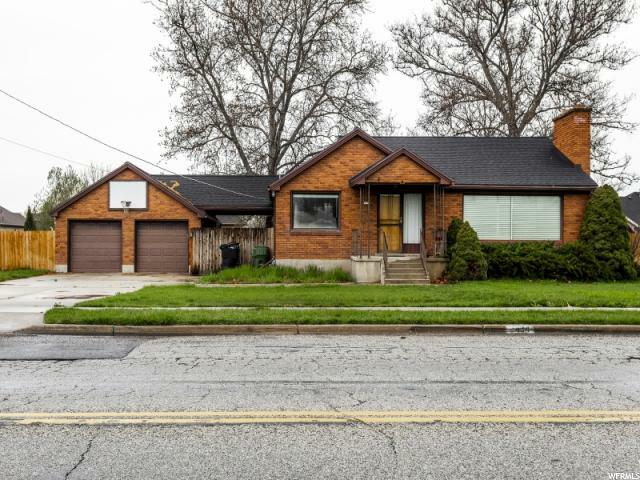 The home is within walking distance to schools, splash pad, library, and the Rush Funplex. 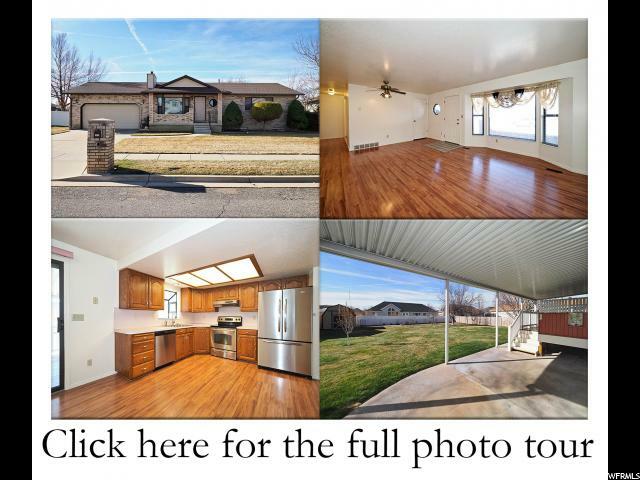 Easy access to I-15 and Hill AFB. It's the perfect place to call home. " 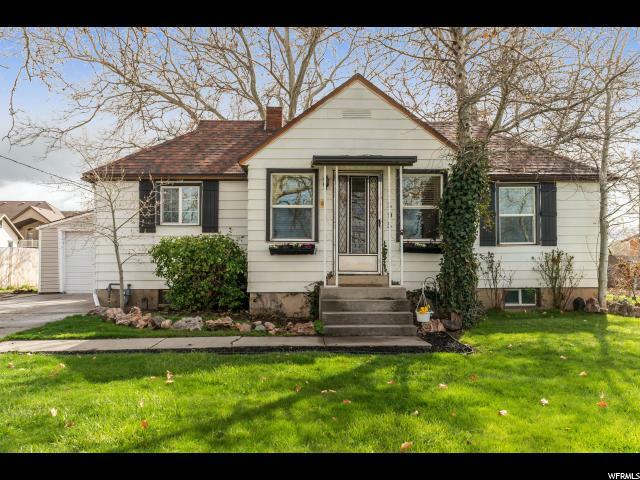 "Value Priced Beautiful multi-level in a wonderful upscale Syracuse neighborhood. Quiet street, corner lot with mountain views and convenient location to everything. 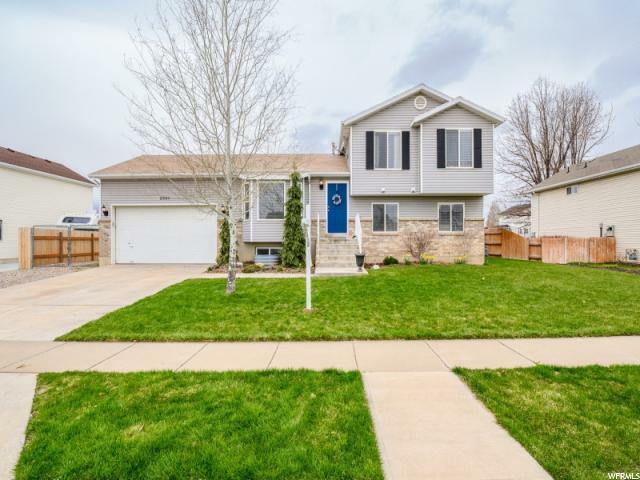 Home has newer paint and laminate flooring, water softener, 5 beds and 3 baths with master bath having a garden tub, fire pit with seating & patio in the huge vinyl fenced yard. Room for RV parking in the back. Vaulted ceilings, can lighting, 2 blinds, and ceiling fans in bedrooms & living areas just to mention a few of the upgrades! Investors dream-current renter would like to stay. Square footage figures are provided as a courtesy estimate only and were obtained from county records. Buyer is advised to obtain an independent measurement." "MUST SEE this awesome newly remodeled home in Syracuse. New attached, fully finished garage with above storage. Home has new Furnace, water heater and AC Unit all within 1 year. Its on a quiet dead end road, nice and secluded and very private. Fully fenced yard. Roof and Windows all new in the past 5 years. Shed out back has power, lights and outlets. Master bath is downstairs and all newly remodeled. So many extras on this great home!!!" "Beautifully updated home in cul-de-sac, with the largest yard. Brand new stainless steal appliances, new counter tops with gorgeous butcher block island. Farmhouse feature wall with updated tiled fireplace. Large yard with small Trex Deck. Laminate flooring in kitchen and formal living. New vinyl flooring in bathrooms. House is smart home ready. Basement has a cold storage option. This is a must see!!!! Square footage figures are provided as a courtesy estimate only and were obtained from county records . Buyer is advised to obtain an independent measurement."